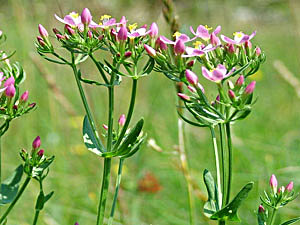 One of the most useful bitter herbs, centaury strengthens digestive function, especially within the stomach. By increasing stomach secretions it hastens the breakdown of food, it also stimulates the appetite and increases bile production. The plant needs to be take over a number of weeks and an infusion should be slowly sipped so that the components (their bitterness can be detected at a dilution of 1:3,500) can stimulate reflex activity throughout the upper digestive tract. The whole herb is appetizer, aromatic, bitter, cholagogue, diaphoretic, digestive, emetic, weakly febrifuge, hepatic, stomachic and tonic. It acts on the liver and kidneys, purifies the blood and is an excellent tonic for the digestive system. Externally, the fresh green herb is said to be a good application to wounds and sores. It is often used in combination with other herbs such as camomile (Chamaemelum nobile), meadowsweet (Filipendula ulmaria) and marshmallow (Althaea officinalis). The whole plant is harvested when in flower and can be dried for later use. The plant is used in Bach flower remedies - the keywords for prescribing it are "Weak willed", "Too easily influenced" and "Willing servitors". A homeopathic remedy is made from the plant. It is used in the treatment of liver and gall bladder ailments. 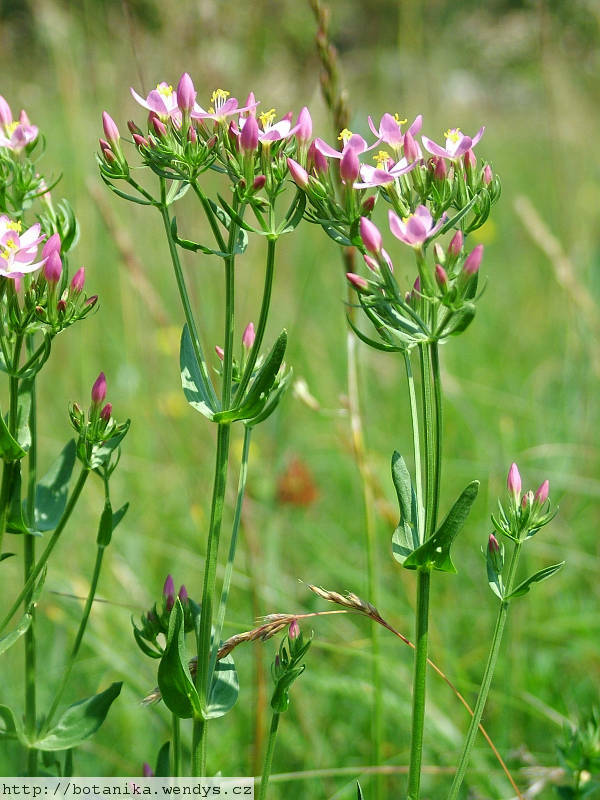 Open woods, meadows and dry grasslands, often on chalky soils. The plant is used as a flavouring in bitter herbal liqueurs and is an ingredient of vermouth. A long-lasting bright yellowish-green dye is obtained from the flowers. Seed - sow February to May in situ or as soon as it is ripe in situ. Germination is usually rapid.